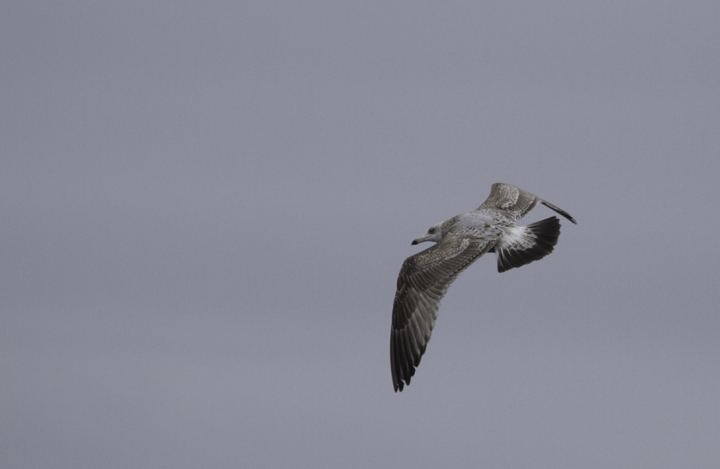 Winter pelagic in Maryland and Delaware waters. 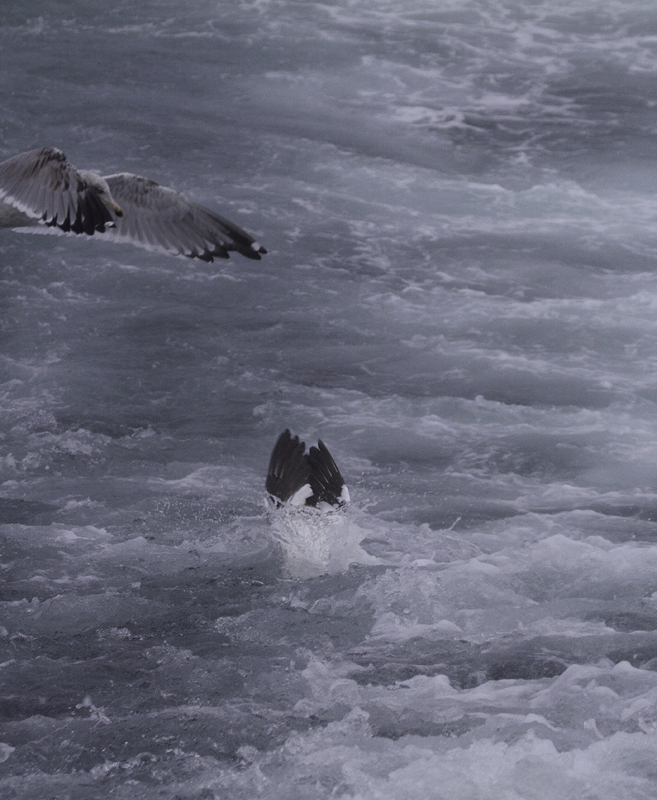 Last updated: 2/6/2011. 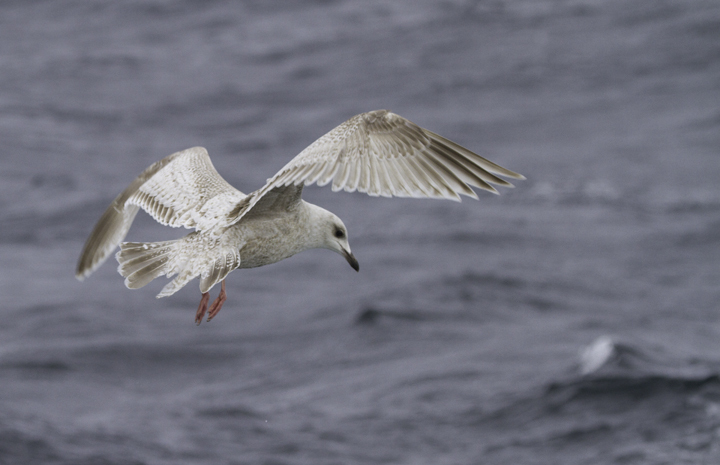 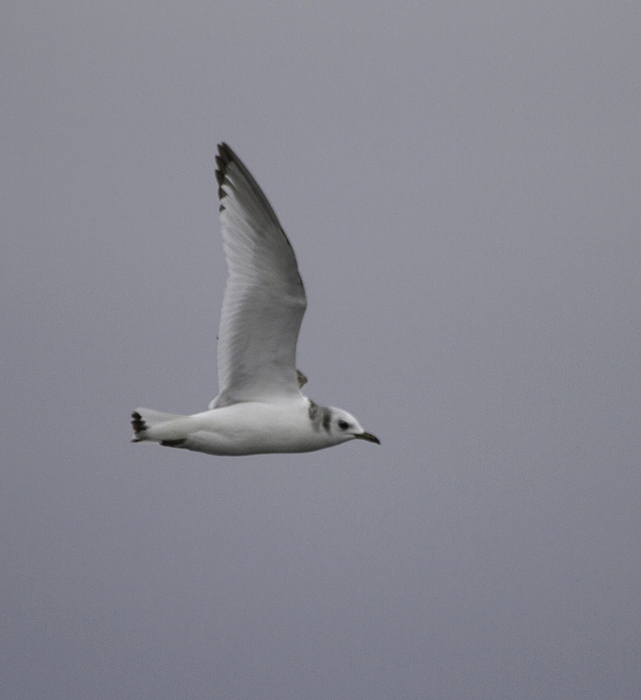 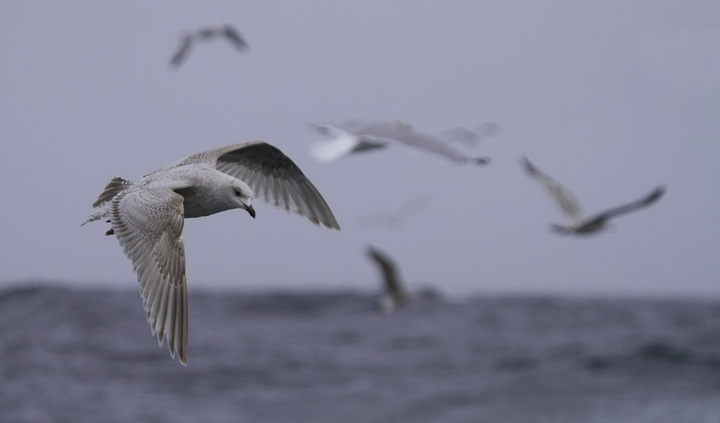 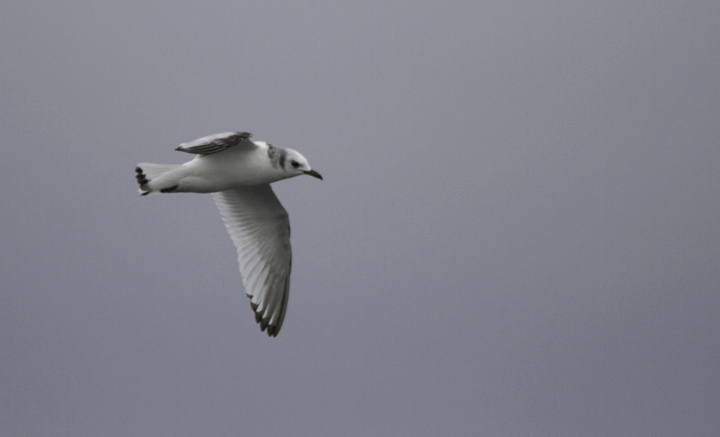 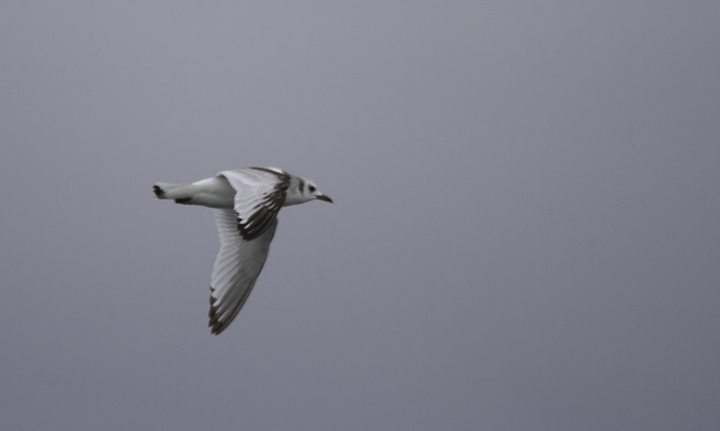 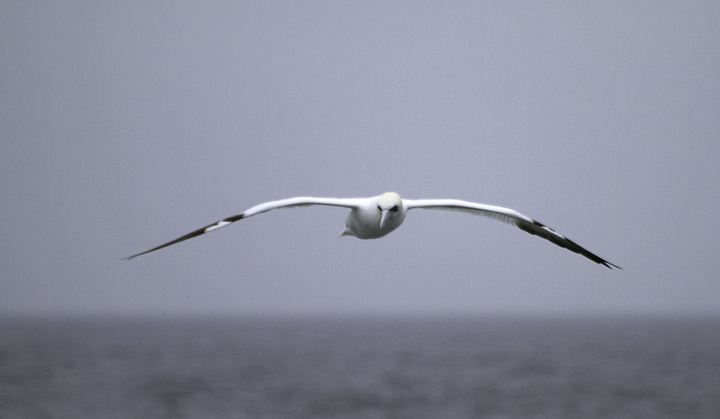 Above and below: An immature Black-legged Kittiwake zips across our wake in Delaware waters (2/5/2011). 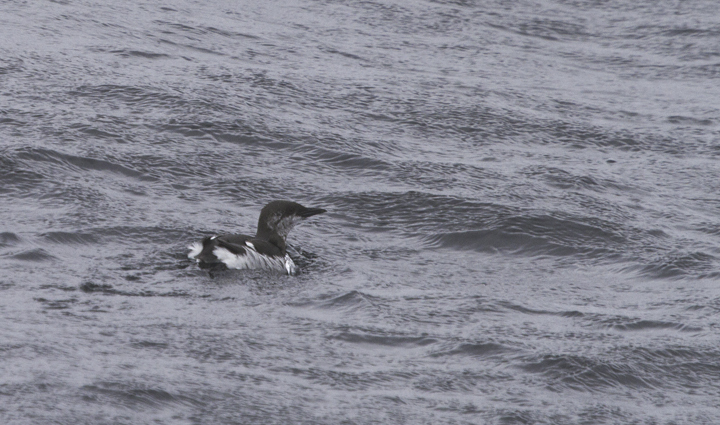 Below: A Common Murre molting into breeding plumage in Maryland waters (2/5/2011). 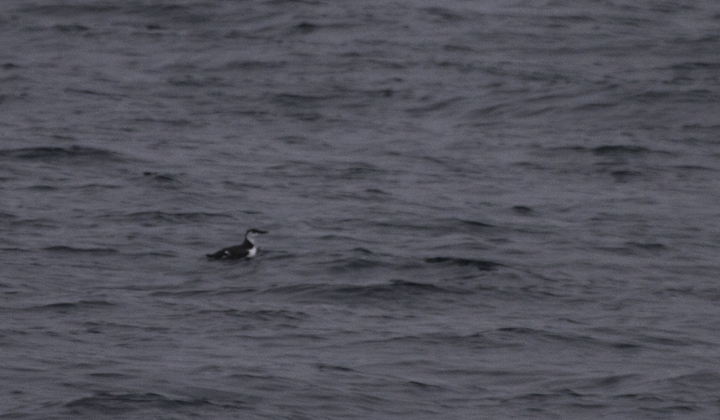 Below: A Common Murre in Delaware waters (2/5/2011). 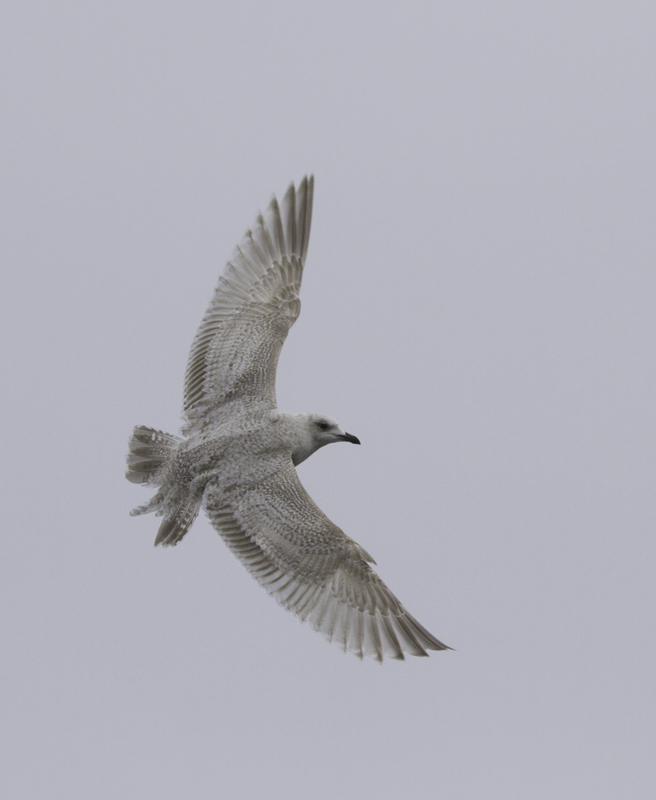 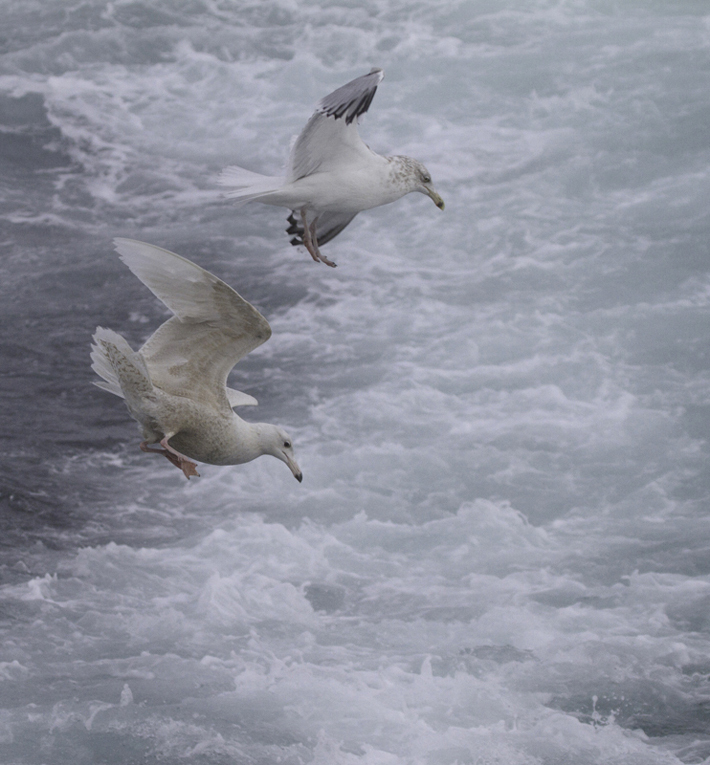 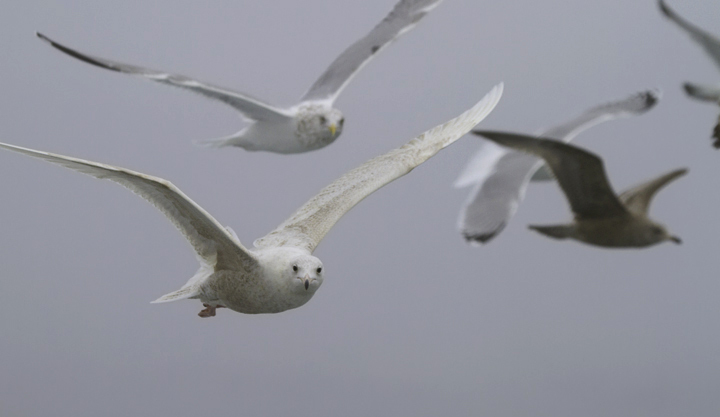 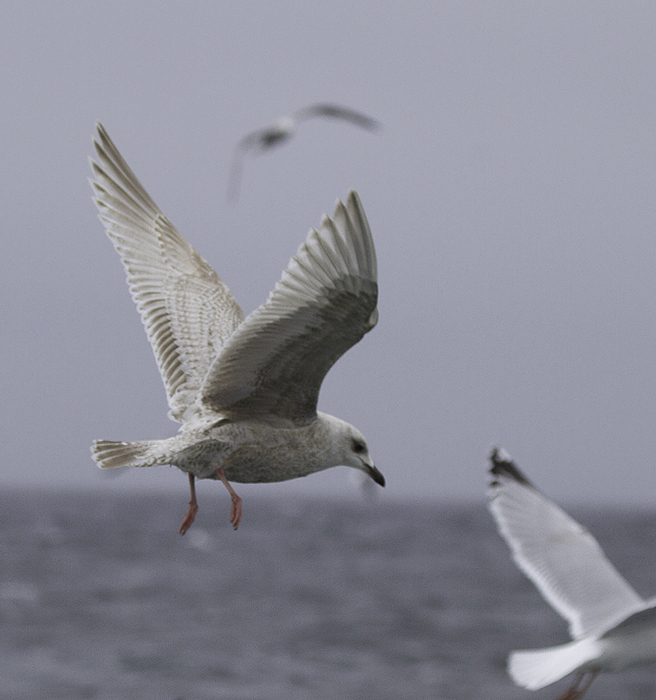 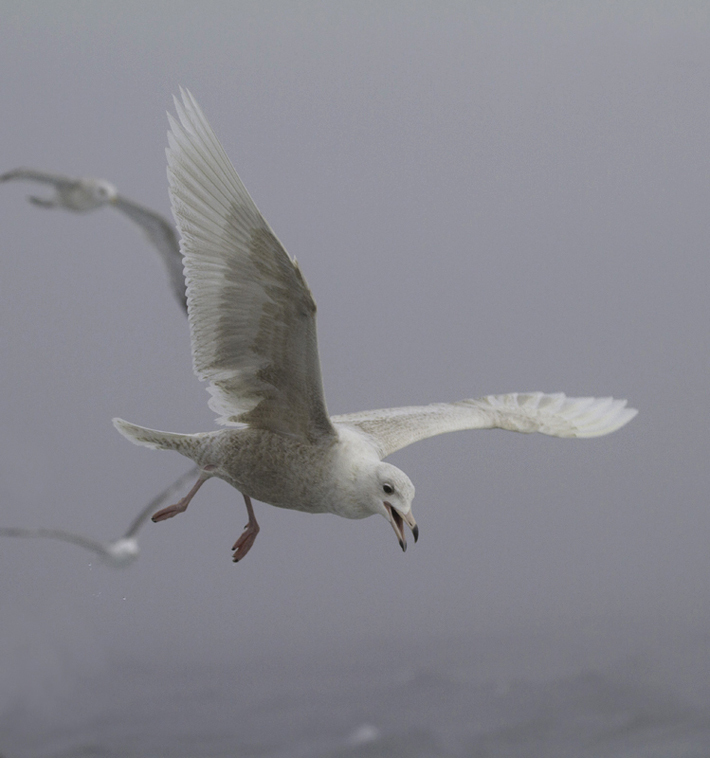 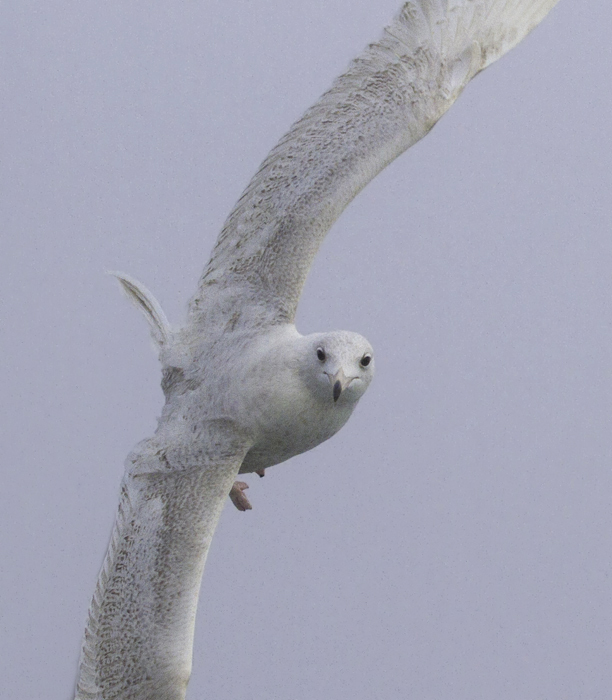 Below: A first-cycle Glaucous Gull shadowed the boat for miles and miles of open ocean in Maryland and Delaware waters (2/5/2011). 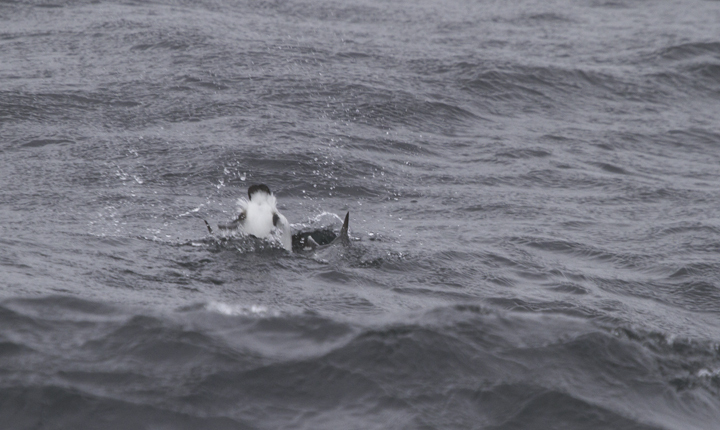 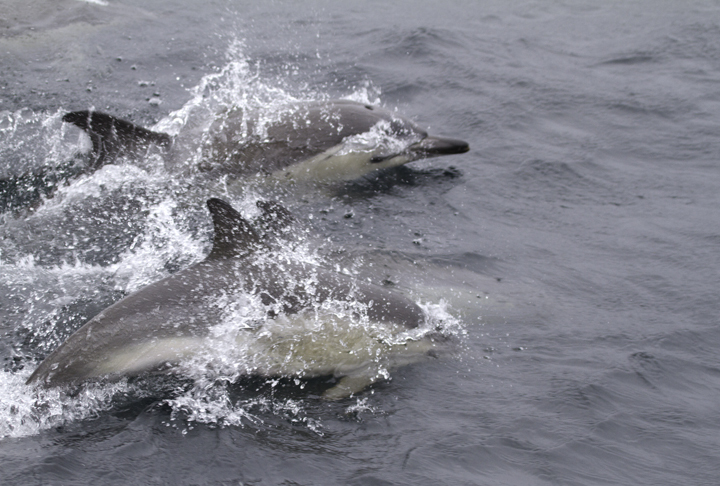 Below: Common Dolphins cruising alongside our boat (2/5/2011). 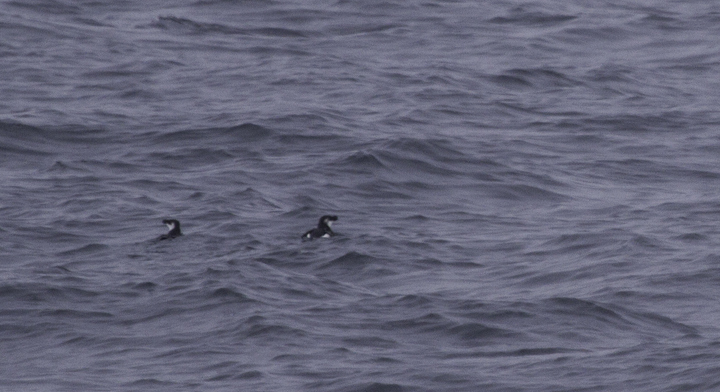 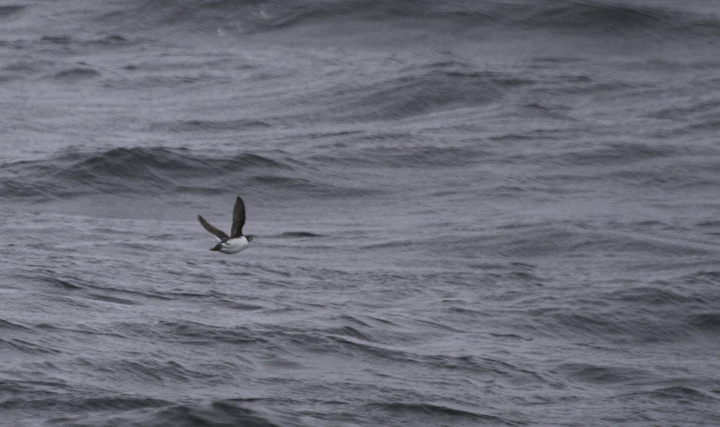 Below: A couple Razorbills make a brief appearance in Delaware waters (2/5/2011). 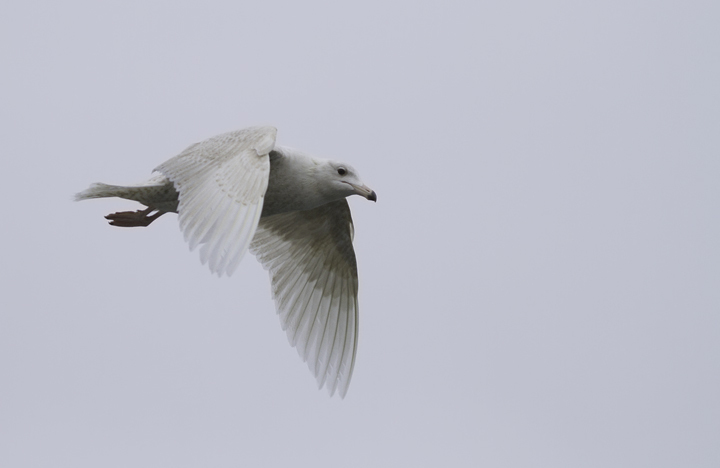 Below: Most of our Dovekies were quick views as the birds flushed from near the boat (Maryland, 2/5/2011). 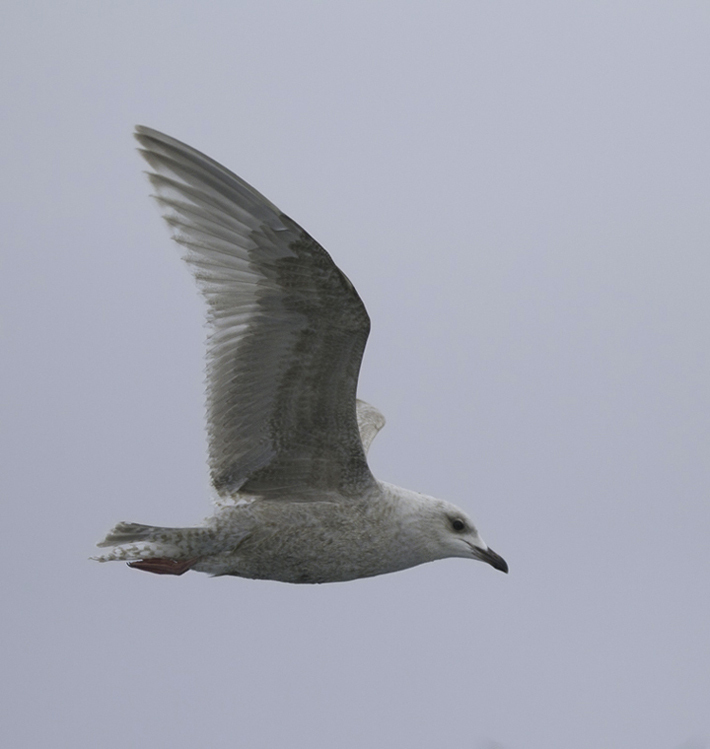 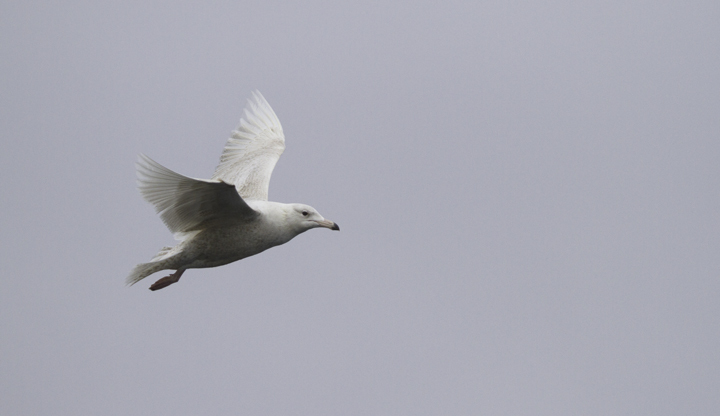 Below: A first-cycle Kumlien's Gull also followed the boat for many miles (Maryland, 2/5/2011). 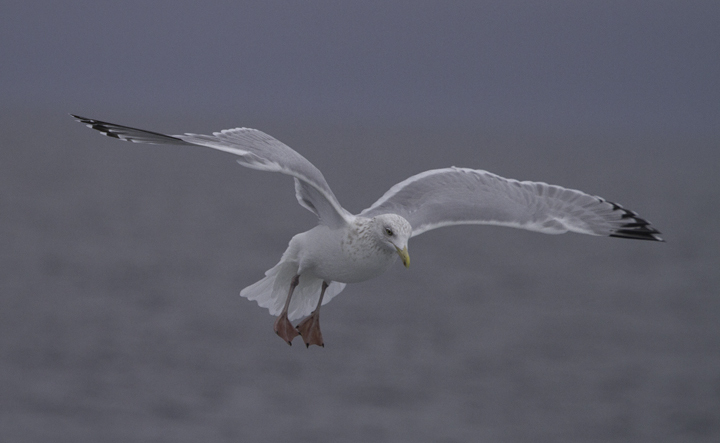 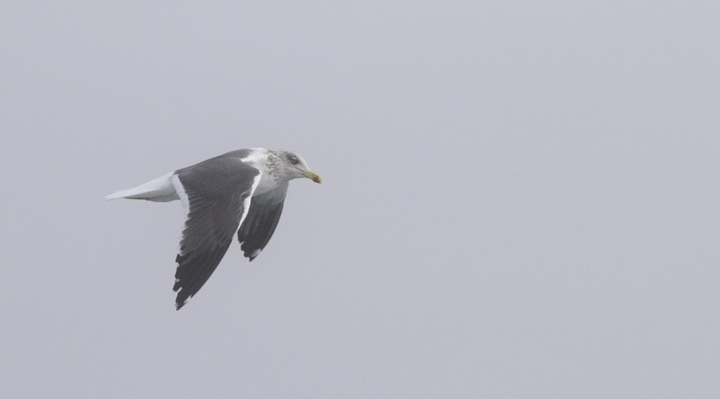 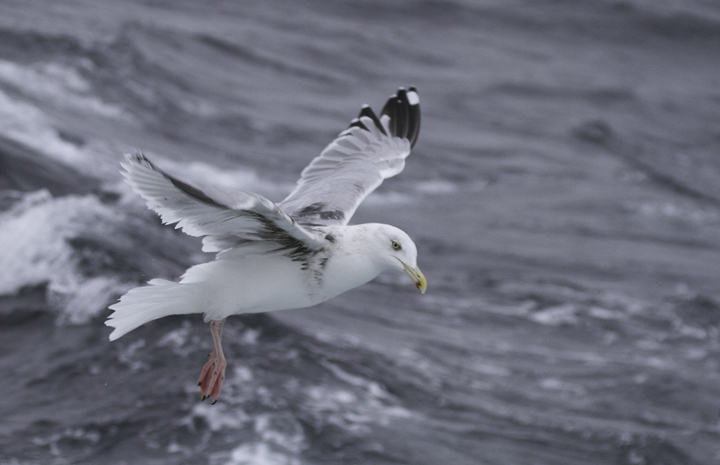 Below: One of many Lesser Black-backed Gull that followed us off Maryland (2/5/2011). 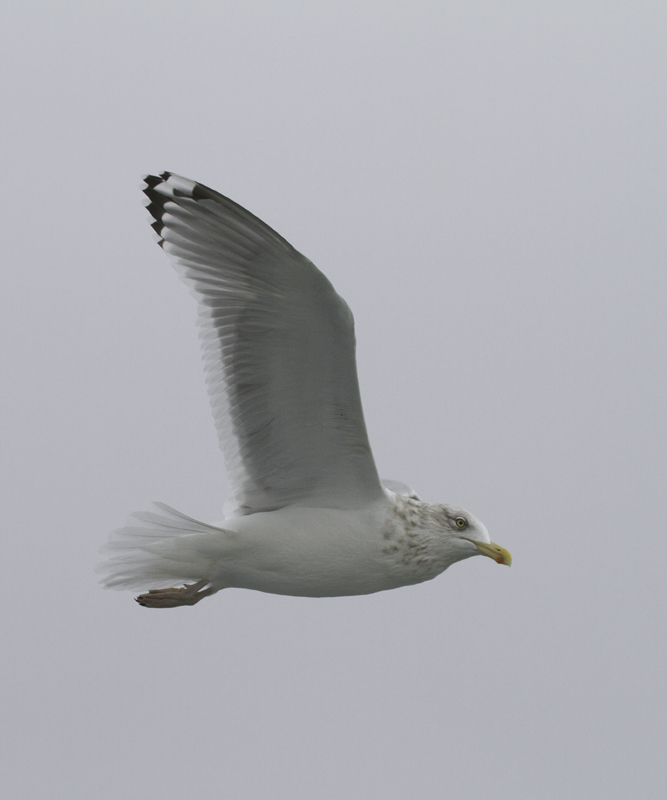 Below: A variety of Herring Gulls far offshore in Maryland waters (2/5/2011). 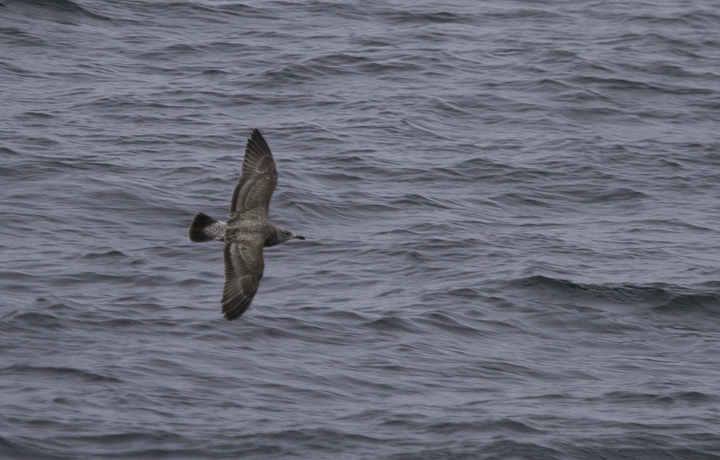 Note the limited black in the primaries below, perhaps suggesting origins in northeastern North America. 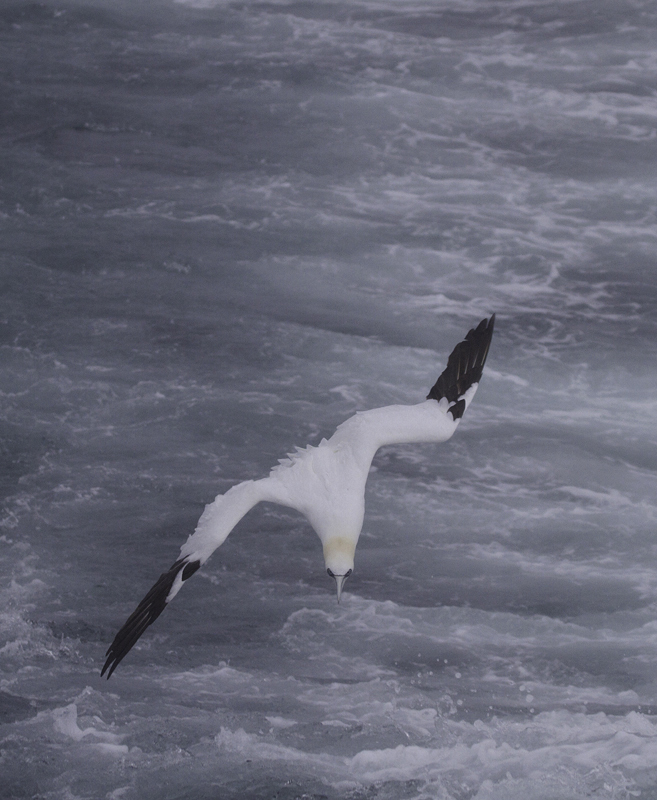 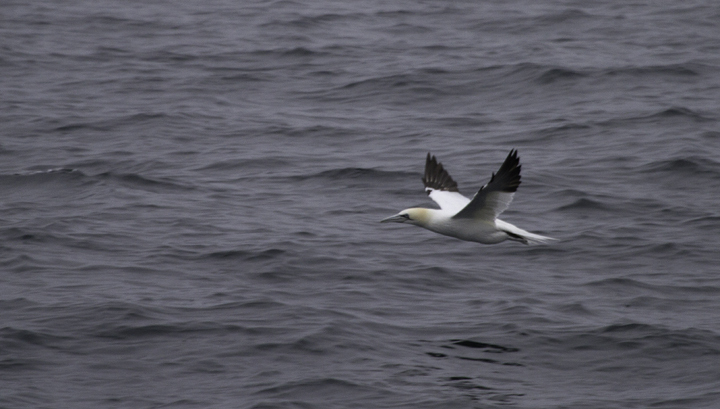 Below: Northern Gannets entertained us with their plunge-dives, occasionally joining the gulls in the wake of the boat (2/5/2011).